8.8" x 11.7" stitched on 14 count. 6.8" x 9.1" stitched on 18 count. 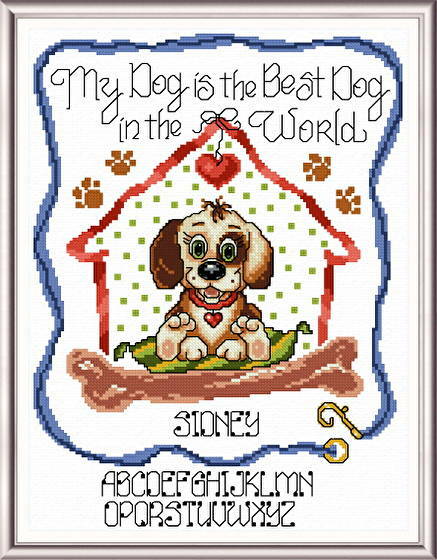 Best Dog in the World cross stitch pattern... Cute and colorful design for your best friend. Use the alphabet to customize the name.